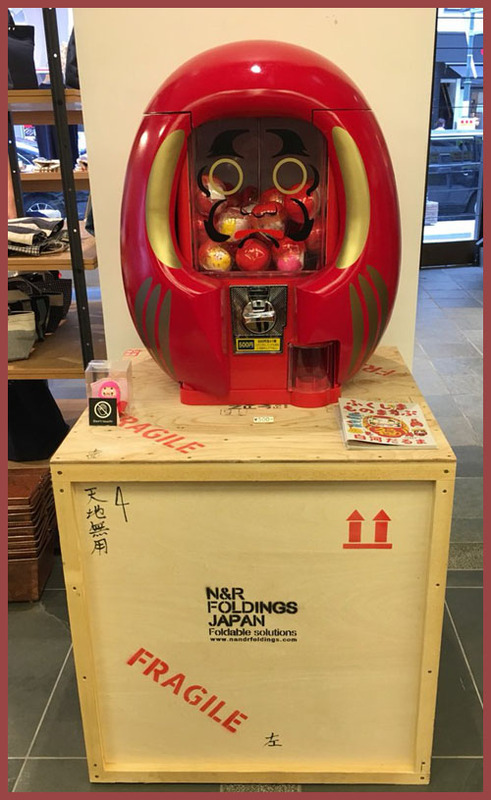 "Gashapon" is onomatopoeic from the two Japanese sounds: "gasha" (or "gacha") for the hand-cranking action of a toy-vending machine, and "pon" for the toy capsule landing in the collection tray. 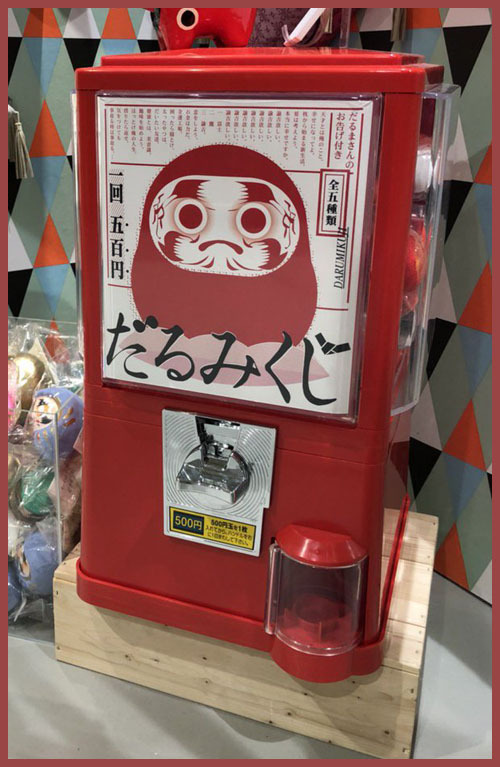 Gashapon is used for both the machines themselves and the toys obtained from them. 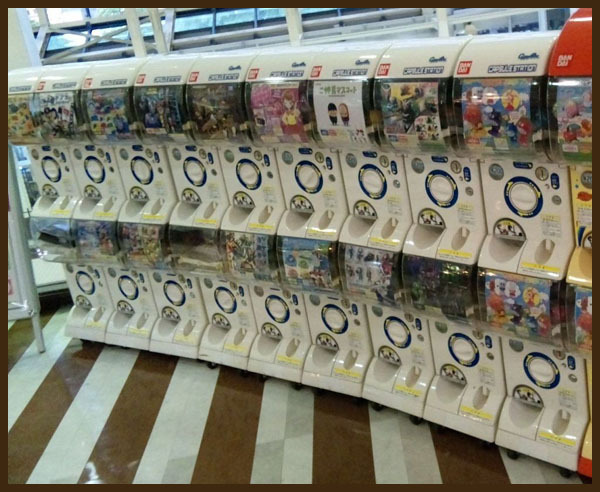 Popular gashapon manufacturers include Tomy, which uses the shortened term Gacha (ガチャ gacha) for their capsule machines, and Kaiyodo. In the United States, "Gashapon" is a registered trademark of the Bandai Company, and gashapon are generally referred to as blind box sets. 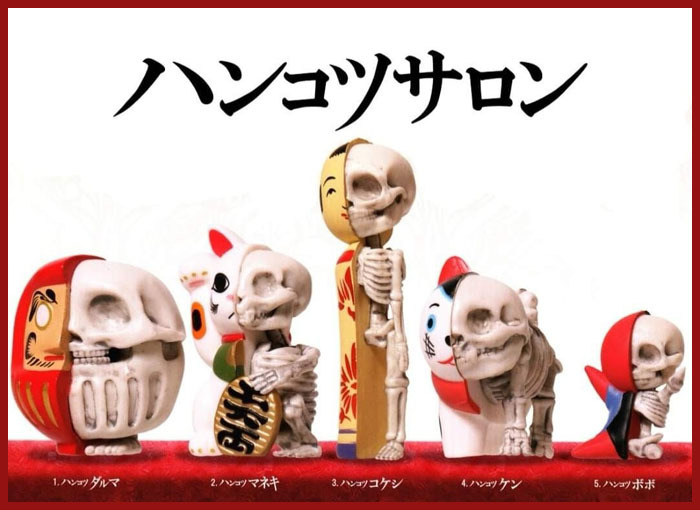 The gashapon model has been adapted digitally into numerous gacha video games such as mobile phone games and massively multiplayer online games (MMOs). 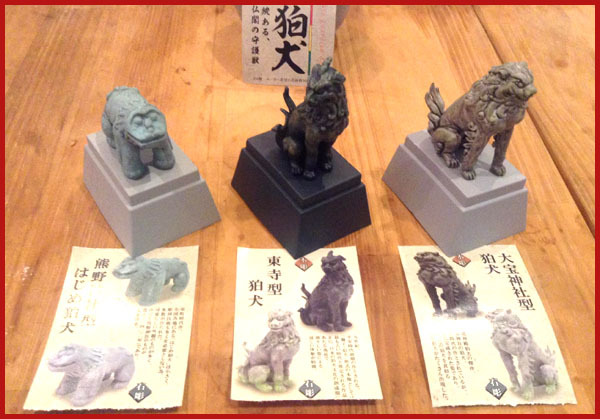 In recent years, the term gashapon has also come to refer to blind-box trading figures, which are essentially the same product sold randomly out of sealed packages instead of a machine. Another variety of gashapon is bottle cap figures. These small figures are mounted atop a plastic bottle cap, as might be found on a twenty-ounce soda bottle. They are sold both in machine capsules and blind boxes. The caps are not functional as they lack screw threads to secure them to the mouth of the bottle. source : more in the wikipedia ! 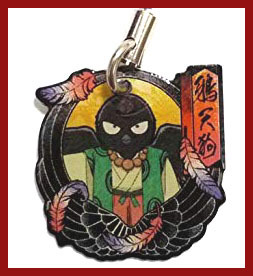 - CLICK for more Daruma gashapon photos !
. 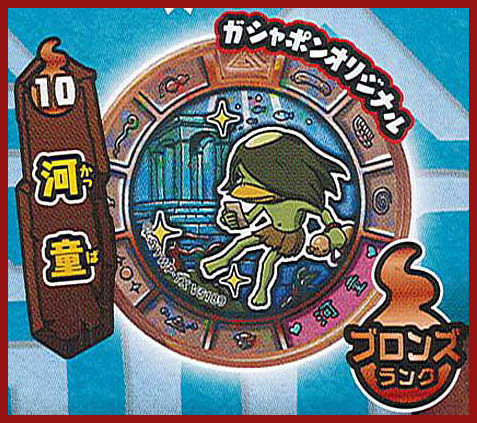 Fortune-telling Daruma mikuji だるまみくじ 達磨御籤 .
. 河童 / かっぱ / カッパ - Kappa, the Water Goblin of Japan! 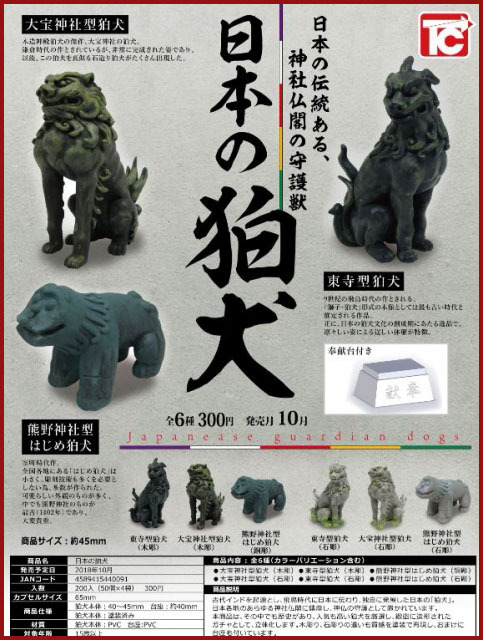 .
. komainu, koma-inu 狛犬 / 高麗犬 / 胡麻犬 "Korean Dog" .
. Tengu 天狗 "heavenly dog" - "celestial dog" .
. yookai, yōkai 妖怪 Yokai monsters .
. 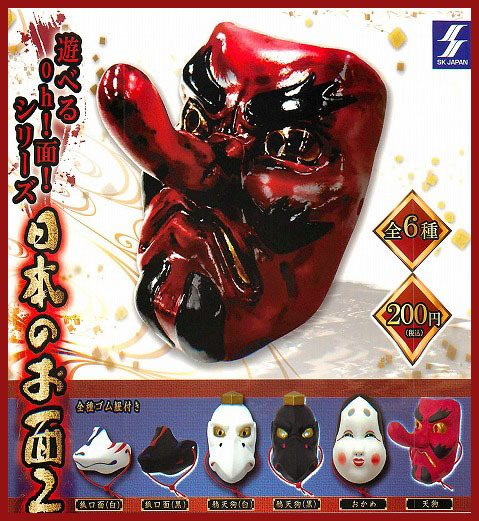 Photos - Gashapon Samurai .
. Reference : gashapon japan.